Jorethang Maghe Mela is one of the biggest events held in Jorethang in South Sikkim. 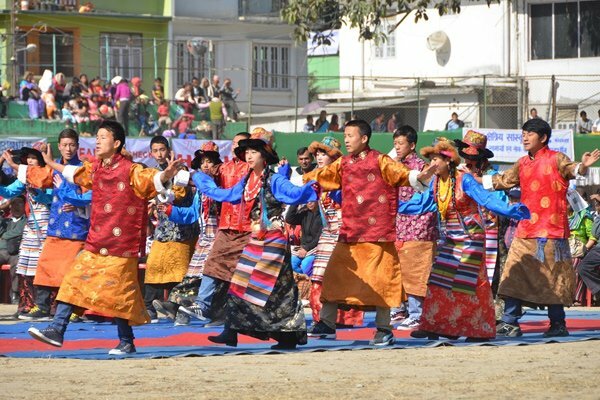 This fair has evolved from the agricultural fair into a cultural extravaganza held in Jorethang for the first time in 1955. It attracts hordes of locals and tourists. Known as Makker Sakranti in other parts of India, the festival is observed for three days, usually in mid January. It falls on the fourteenth of January every year. A bathing festival called Makkar is observed, when people take a dip at the confluence of the Tista and Rangit. Hundreds of stalls selling and exhibiting various products are put up for the huge number of people who visit the fair.